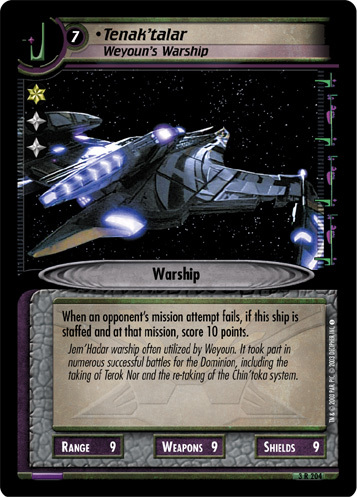 Commander: Tenak'talar. 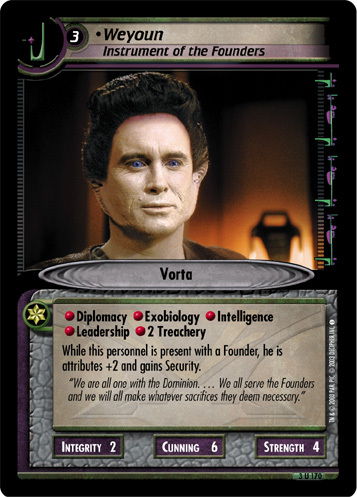 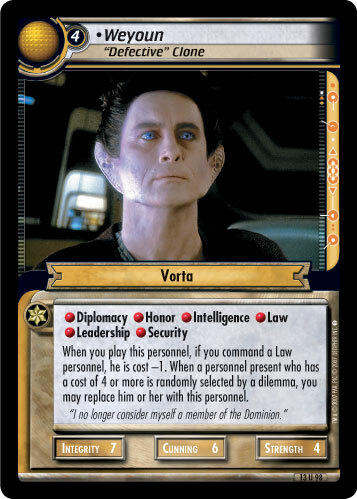 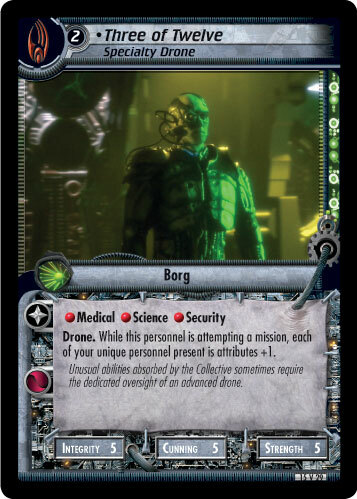 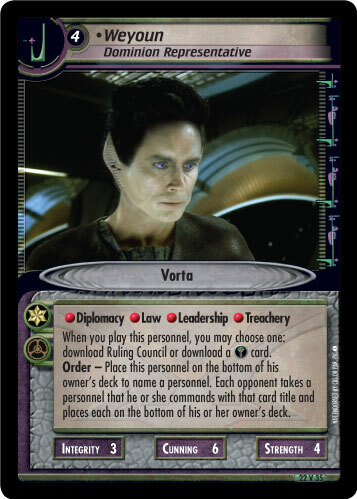 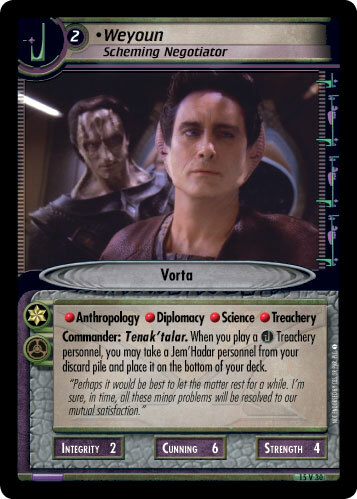 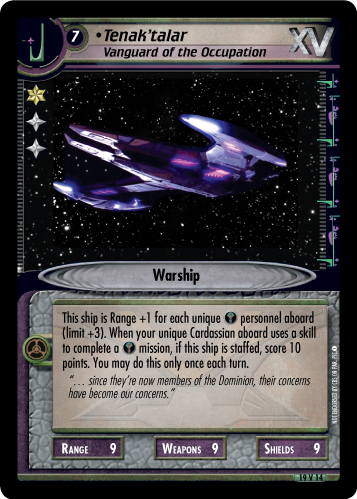 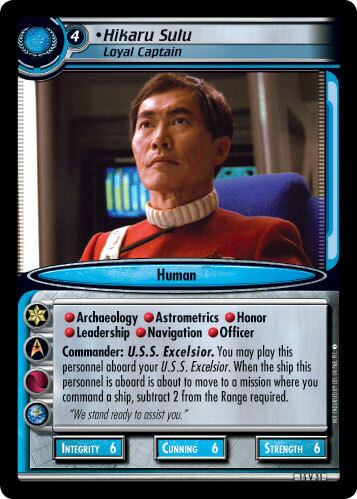 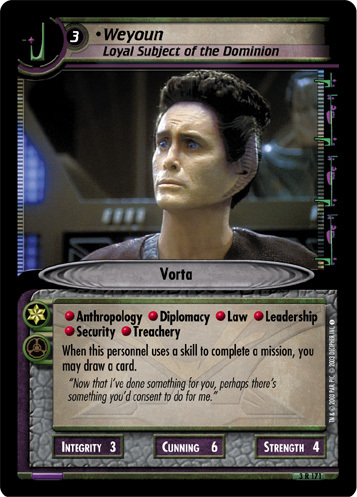 When you play a Treachery personnel, you may take a Jem'Hadar personnel from your discard pile and place it on the bottom of your deck. 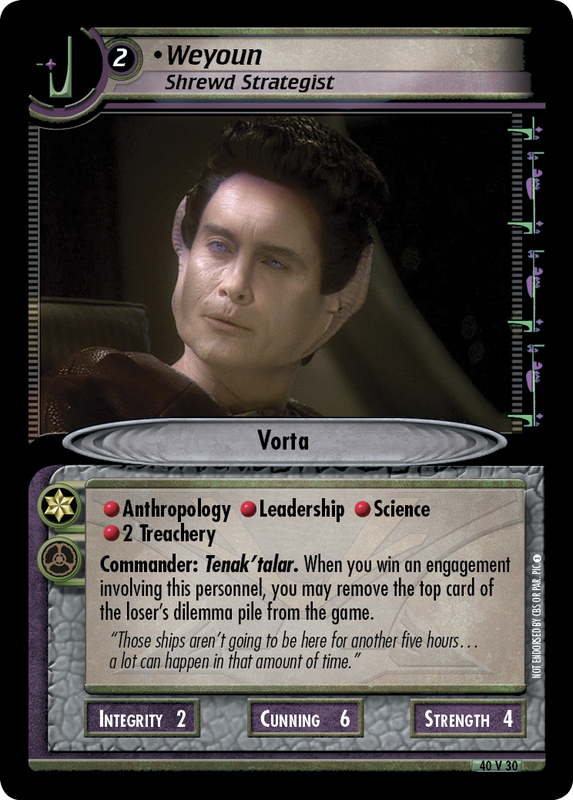 "Perhaps it would be best to let the matter rest for awhile. 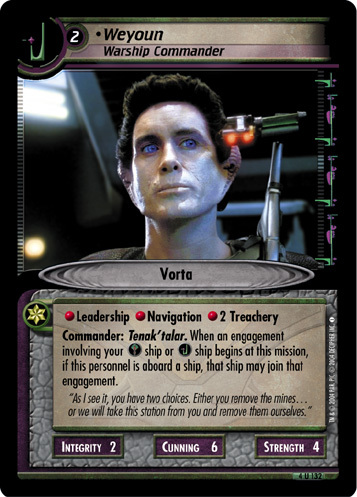 I'm sure, in time, all these minor problems will be resolved to our mutual satisfaction."